Von Suckow Trading Group (VSK) is a Consulting Firm with International Reach, our main Area of Operations is in Brazil and the United States of America, but we also serve companies in south and central America, our clients are Companies in the Military and Homeland Security Industry that require access to our market research data and expertise to promote and adapt their products or solutions to the end-user needs. Our extensive and lifelong relationship with a widest range of manufacturers, developers, Integrators, trainers, and Inventors. Gives us not only advantage but also the tip of the spear characteristic that identify VSK in the DEFENSE & HOMELAND SECURITY world since 1982, providing our clients the best of the best and the 100% Reliable next generation solution, Thought and Created with input directly from Active and Former End-Users of all Equipment, Tools and ordinance, used now in the most Advanced Military powers in the World. As all of our Staff and our Founder Mr. Vinicius Bocaiuva, we are former end-users, and as being so, we do understand better than anybody, the priority our clients require and deserve, most importantly we understand, Mission Critical Importance, World Security in today's unique landscape and challenges, there for we made our Life Mission and Resolve to put our clients in our top priority status. Von Suckow History and Heritage. Major Hans Wilhelm Von Suckow [pronounced /von-sue-ko/] was born August 28th 1797 in the Castle of Warin, in the Duchy of Macklenburg, Prussia. Major Von Suckow was raised in a Military Family who dedicated themselves to the service of the Prussian Army, and the Breed and Creation of the Mecklenburgers Horses (later imported by the Imperial Government of Brazil.) Mecklenburgers, prior to World War II, were all-purpose utility horses and used primarily for the cavalry, transport, and agriculture. ​Major Von Suckow was a German Military Officer and Entrepreneur. In 1815, at the age of 18, he participated in the Battle of Waterloo, where he led a battalion with the forces of Marshal Blücher. Retired as a Lieutenant of the Prussian Army, he emigrated to Brazil in 1824 under contract with the Brazilian Army, where he served in the Foreign Corps and the Second battalion Grenadier, based in Sao Bento Monastery in Rio de Janeiro. Involved in a duel, he was arrested for several months. Acquitted and released, he was then promoted to Major and due to his attributes, was transferred to the General Staff of the Imperial Army to serve as a military instructor. He was later retired from the Foreign Corps as a Major. Major Von Suckow then adopted the name João Guilherme de Suckow; translating his own name into Portuguese Hans= João and Wilhelm=Guilherme, which means John William of Suckow. He remained in Rio and created a business of carriages and horses, where he imported, manufactured and rented carriages, and ultimately monopolized the transport service in the area. Although he made a fortune with his carriage business, the racing of horses was his ruling passion. He was an active participant in the founding of three racing clubs in Rio de Janeiro: The Racing Club in 1847; The Jockey Club Fluminense in 1854, and The Jockey Club in 1868, which has been Rio’s premier racing organization ever since. 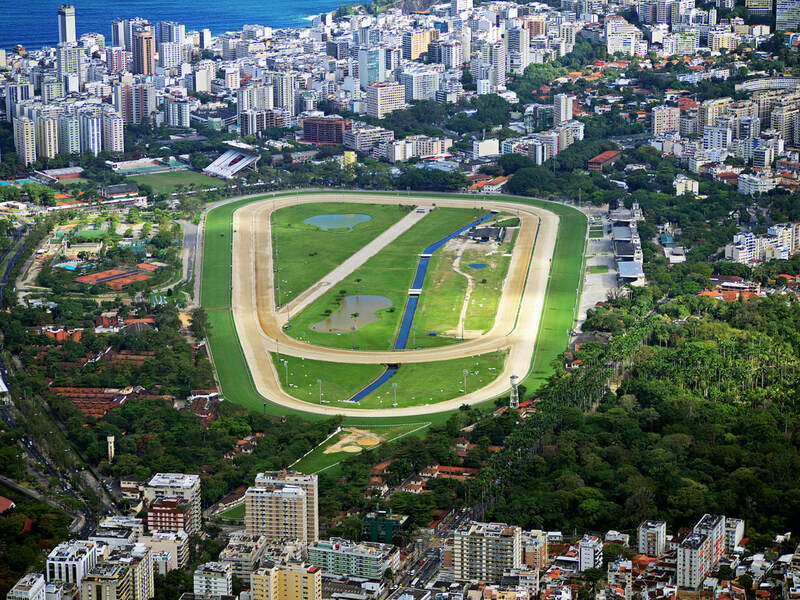 Even today, a week before the Grand Prix Brazil, a race is held at The Jockey Club in honor of Major Von Suckow. Major Von Suckow died in Rio de Janeiro, on January 07, 1869, sadly without watching the first race at The Jockey Club. 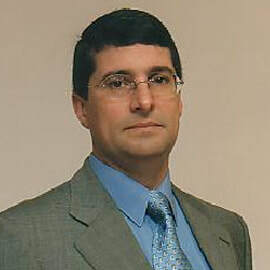 Mr. Vinicius Bocaiuva, a descendant of Major Von Suckow, carries forward his esteemed heritage and founded The Von Suckow Group (VSK) in Brazil. VSK was formed to bring together marketing efforts for the International defense industry to meet a wide range of requirements driven by military end-users. Mr. Bocaiuva’s Naval and Engineering background was well suited for such an endeavor. Through decades of experience and relationships, VSK provides privileged access for companies delivering goods and services to the military and other government agencies. VSK’s expertise is also applied to its military project management services which has covered a diverse scope of projects such as meteorology; oceanography; systems for surface vessels; underwater warfare; simulators; training programs; general aviation systems; weapons & electronic systems; remote sensing and military satellite programs. We pledge allegiance to Our core Values and our Doctrine, founded in the principle of the Defense and Security of those not able to defend themselves and to protect our homeland, as to share same battleground with our brothers and sisters around this Vast MILITARY & HOMELAND SECURITY World. We will always deliver you only the most RELIABLE, ADVANCED, COST EFFECTIVE, and EFFICIENT SOLUTIONS, tailored to your specific and unique needs and requirements.